My Maya aka Punkie Pie. 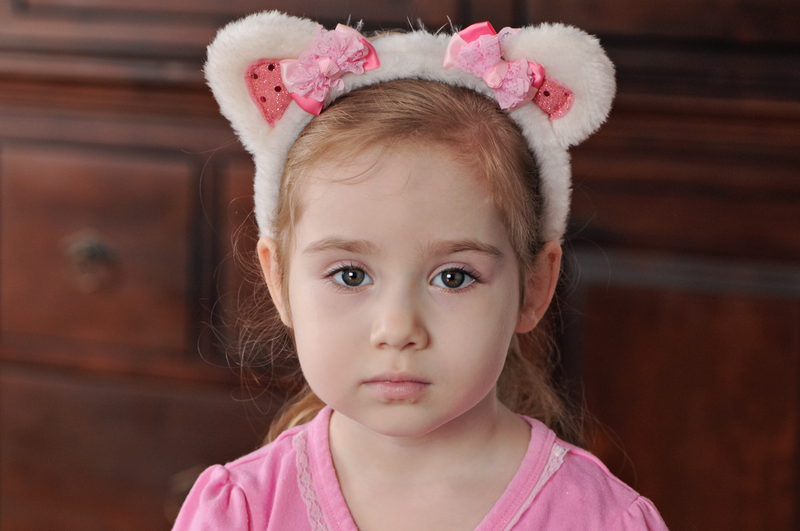 I bought her the kitty ears when she was 3. Now she is 9 but she still loves them and still wears them. In public. I love her so much. She is an odd mix of a big baby and independent young woman. Also, her long, thick, black eyelashes; the first thing I noticed about her when I first saw her. ❤ Lucky little minx, she’ll never need mascara. She’s a huge aww with or without the kitty ears. Adorable. 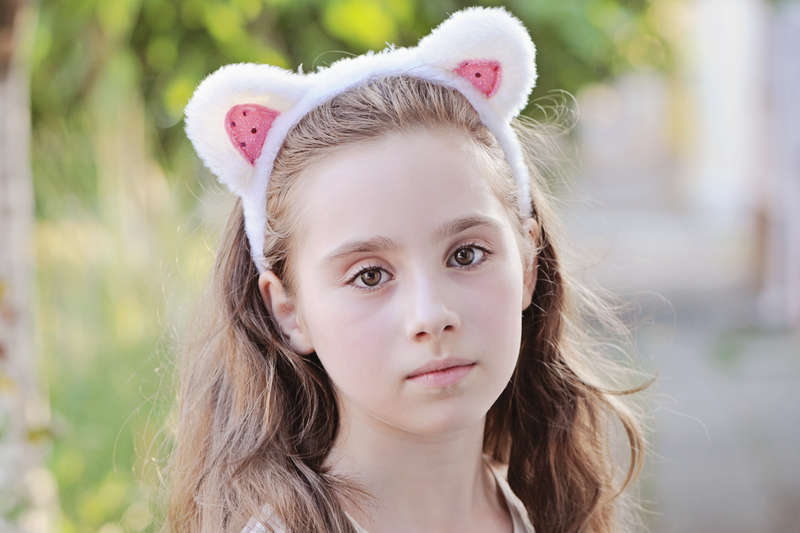 I have a grand girl the same age…who loves kitty ears too! Your photo captures are wonderful and I love the one in black and white. What a beauty. 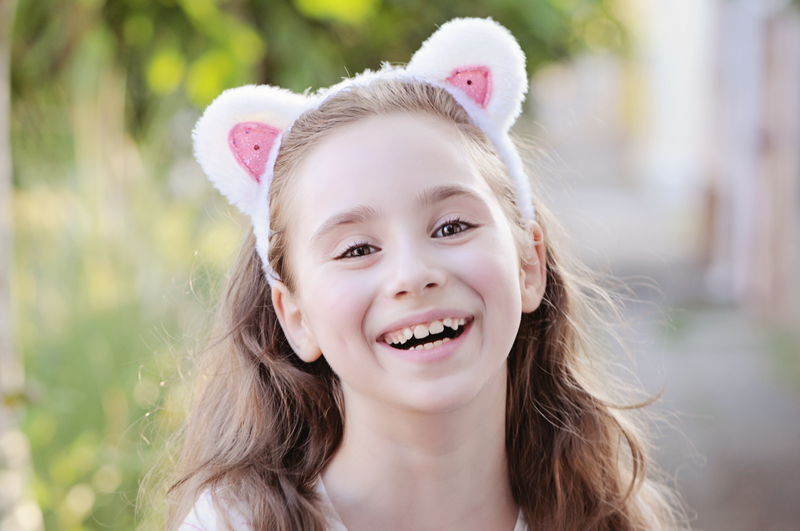 How fun that she still enjoys the kitty ears years later. omg SUPER CUTE! 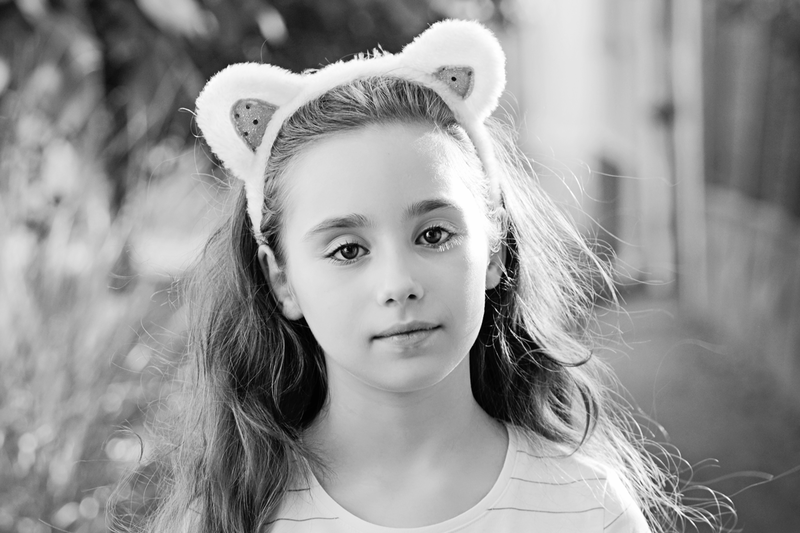 My little Angelina LOVES cat ear and any kind of ears for that matter. She wears them to school. Today she is wearing her black ears. Super cute and I love them! You should do a series of ear photos. Your daughters are very beautiful and so is your son. You are an amazing mommy. Much love.